Henry Holt and Co., 9781250137746, 288pp. "A thoroughly riveting poetic memoir of a mixed-race woman questioning her identity and place in American life and culture. Genuinely inspiring." "A candid, deeply personal look at race relations within a family and a nation, and a story that will feel familiar to anyone who hungers for a sense of belonging." 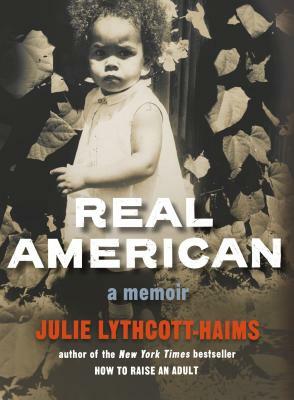 "In the vein of Ta-Nehisi Coates's Between the World and Me and Claudia Rankine's Citizen, Julie Lythcott-Haims's Real American fuses autobiography with politics, showing how the sinister nature of racism (institutional and otherwise) scars even those who may pass as unaffected. . . . [Lythcott-Haims takes] a combative stance toward anyone who thinks they are on firm footing regarding race, and the book is all the better for it." "In a text that resembles a memoir, a prose poem, and an album of verbal snapshots, a writer from a mixed racial background chronicles her journey—and battle—to understand her racial identity . . . Many potent and painful reminders that we have a long, long way to go regarding race and identity." —Beverly Daniel Tatum, author of Why Are All the Black Kids Sitting Together in the Cafeteria? and Can We Talk About Race?